Hi! I'm an indie author working hard to put my imaginings in the hands of readers. Beyond the manuscript, there are a lot of things to think about. This is where your contributions and support come in! A completed manuscript needs copy editing, line editing, formatting, covers, illustrations, advertisements, and on and on. Please consider helping this novel get off my desktop and onto the bookshelves! You may be here as a result of reading some of my novels, such as Love & Daisies, The Locket, or Girl in the Mirror. Thank you for giving those stories a chance and I hope you enjoyed them! My latest novel in the works is called Twisted Roots (working title). See a brief description below! A born Grower, Princess Ennara's powers are a gift to enjoy, until her mother exploits them to fund her own ambitions. While the Queen works to secure her own legacy, Ennara struggles to do what's right in her heart. In the end, will she become more like her mother than she ever wished to be? This novel is in the works as we speak. Once the manuscript is finished and as polished as I can make it, I'll need to have it properly edited and possibly seek a new cover. Thank you in advance for any donations you make. 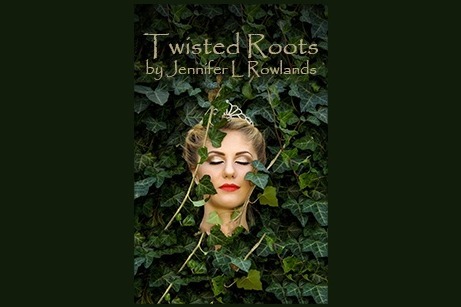 You're helping to make Twisted Roots worthy of its readers.